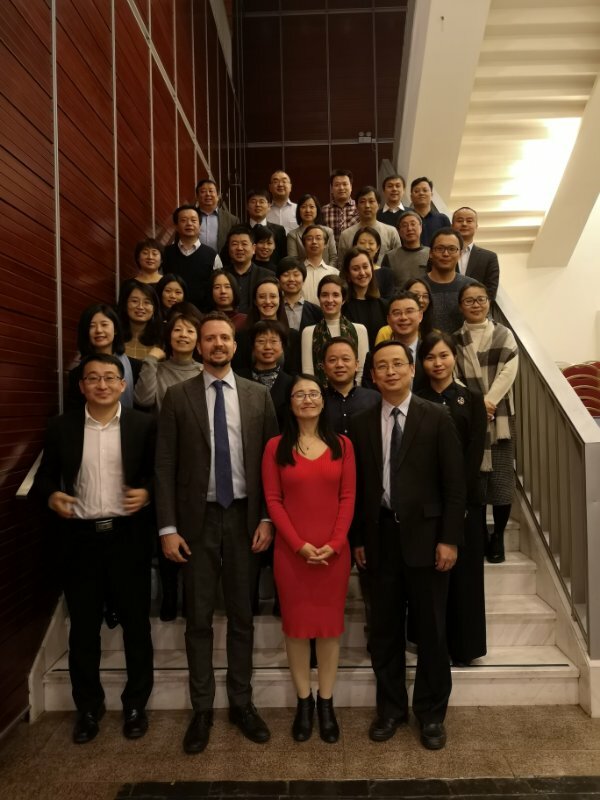 On 24th January, SESEC hosted the 2018 year-end reception in Beijing. At the beginning of the reception dinner, Mr. Guo Chenguang, director of international cooperation division, standards innovation department of SAC and Mr. Bojan Pavlek, first secretary of European Union delegation in China and representative of DG GROW of European Committee gave keynote opening speeches. Mr. Guo and Mr. Pavlek both set a high value on SESEC’s hard work and effective efforts on standardization’s communication, understanding, and cooperation between Europe and China, and also, expressed the perspective of closer, more practical and functional Sino-Europe standardization cooperation with SESEC’s assistance and promotion in 2019. Over 40 Chinese and European partners and stakeholders of CNCA, CNIS, SIEMENS and etc. attended the reception. Dr. Xu Bin, on behalf of SESEC, appreciated cordially all participants’ recognition and help, presented good wishes for the happy Chinese New Year.